To thank Mum for all she does or to give to a friend for house-sitting, whatever the reason this plate is a unique thank you gift complete with our Chilli and Bubbles character. The star of the event adorns the centre of this plate holding his own thank you sign. 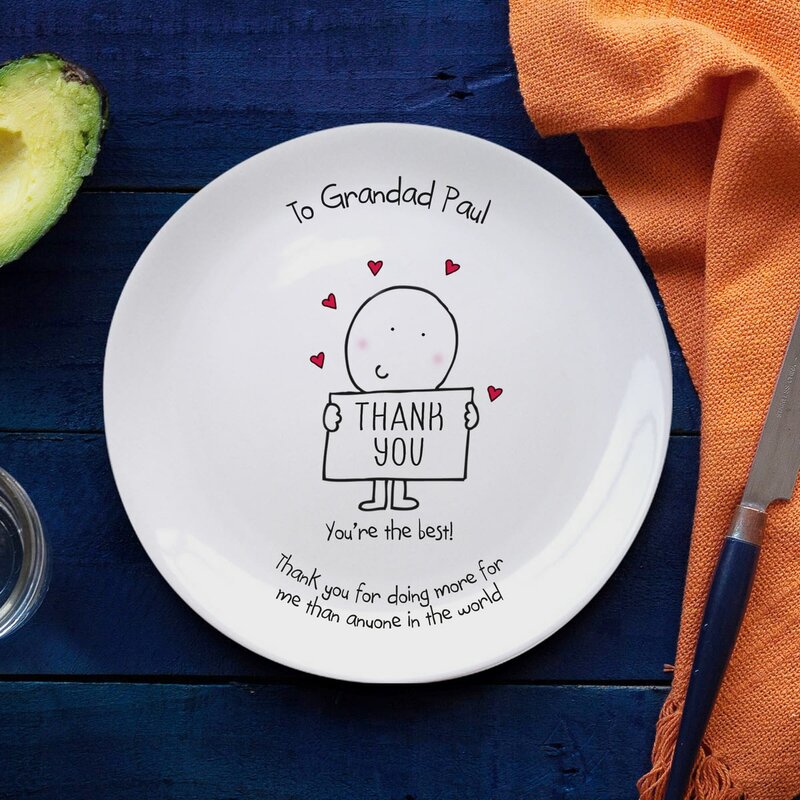 Add an extra special touch to this gift by including your message which we print around this cheeky chap.